Ruby port is the cheapest and most extensively produced type of port. After fermentation, it is stored in tanks made of concrete or stainless steel to prevent oxidative aging and preserve its rich claret colour. The wine is usually blended to match the style of the brand to which it is to be sold. The wine is fined and cold filtered before bottling and does not generally improve with age. Reserve or vintage character port. 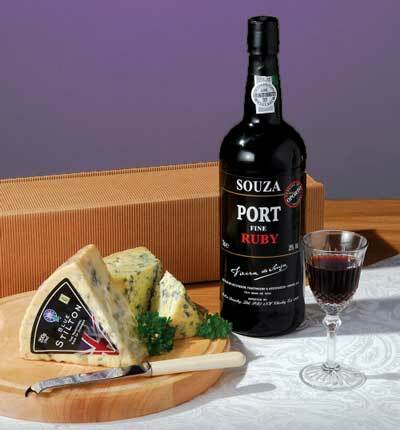 Reserve port is a premium ruby port approved by the IVDP's tasting panel. In 2002 the IVDP prohibited the use of the term "Vintage Character", as the wine had neither a single vintage (usually being a blend of several vintages of ruby port) nor the typical character of vintage port. It is an excellent desert wine, particularly with ripe, blue cheeses. It should be served at room temperature.